563 Harvest Ln, Verona, WI.| MLS# 1844386 | John Reuter Realtor/Broker/Owner of The Reuter Team. Wisconsin Homes for Heroes Realtor. Proud to be the Top Homes for Heroes Realtors in Wisconsin and One the Top Homes for Heroes Realtors in the United States. You'll love this amazing home! 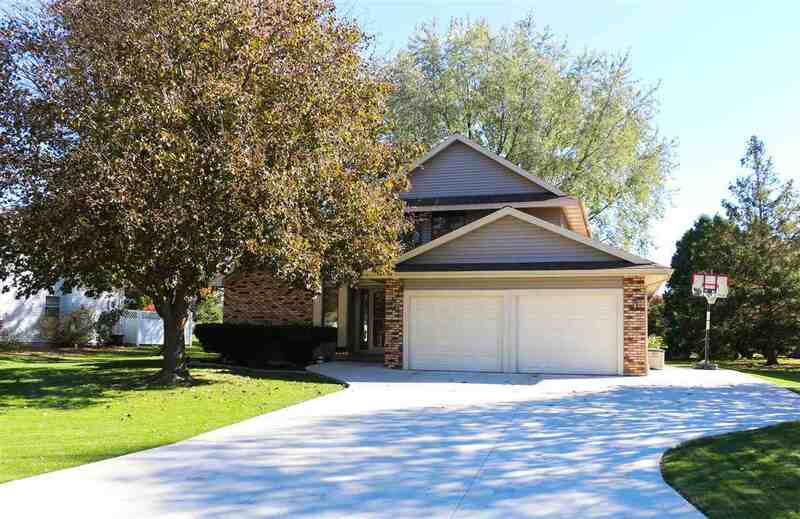 Quiet neighborhood within walking distance to parks and Glacier Edge Elementary. Relax on the patio with backyard lined with mature trees for privacy. Master bedroom/bathroom as well as laundry all on main level. Great natural lighting throughout the entire home and with wood-burning fireplace in the living room. Extended driveway space allows room for 3rd vehicle to park without blocking the garage entrance. Once you see it, you won't want to leave! Directions: From Old County Hwy Pb Turn Onto Whalen Rd, Then Right On Harvest Ln. From Hwy M Turn Onto Whalen Rd, Then Left Onto Harvest Ln.